Perfect for use with watercolour there is now a squeeze bottle with a needle-fine tip for precision watercolour or acrylic paint application. Simply fill this empty bottle with your choice of ink, watercolour, or fluid acrylic and apply very fine lines of paint or precise drops. Squeeze clean water through the tips when you are finished painting. 0.4mm and 0.8mm steel nib. 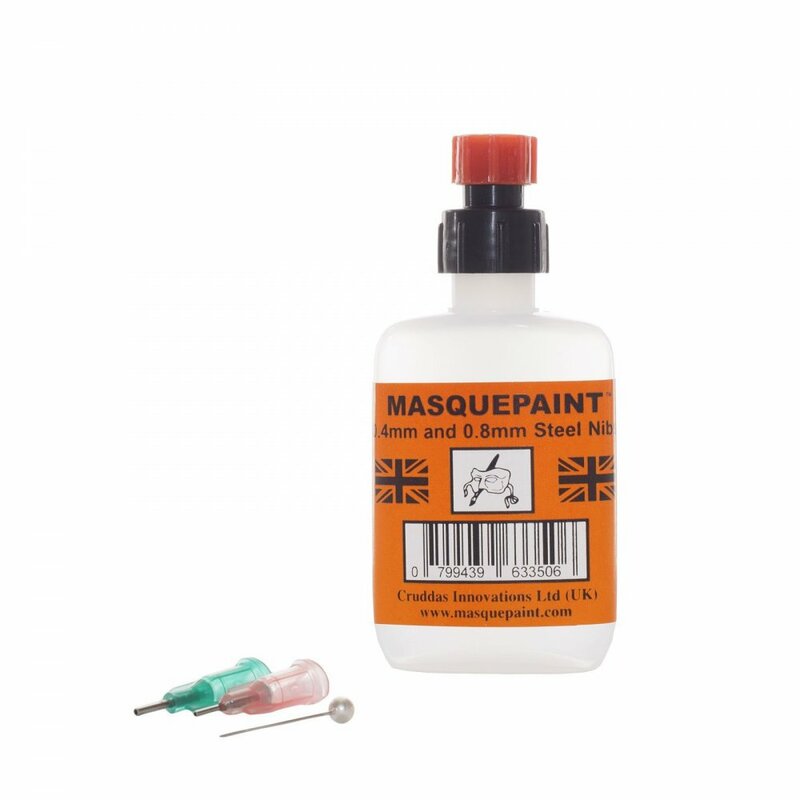 A bit about the brand: The ORIGINAL UK Masquepen, a reservoir of cool blue masking fluid, with a 0.8mm nylon nib built-in applicator has been a great success, popular with artists and craftspeople for 10 years.